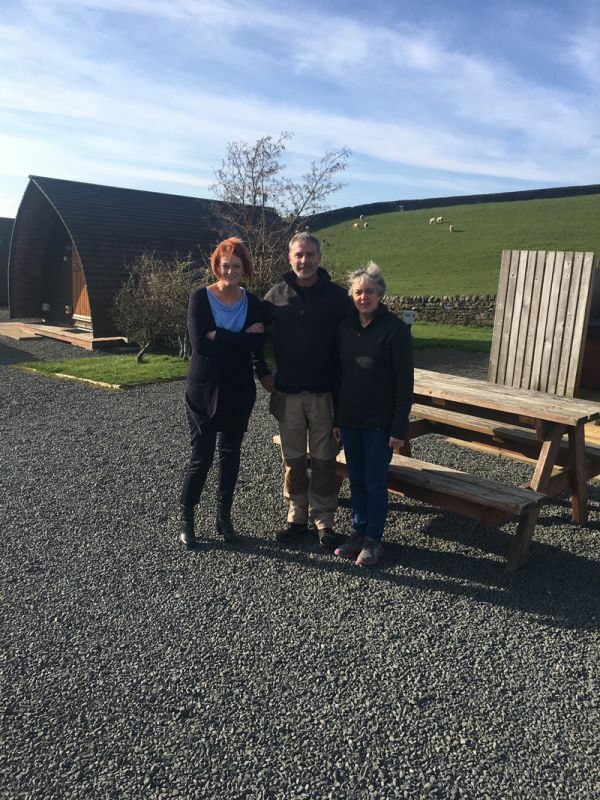 The AA award winning camping and glamping site, which is less than one mile from Hadrian’s Wall, is the latest acquisition for WCF, a company partly owned by its employees, operating several niche autonomous businesses, with its head office in Brampton, Cumbria. The campsite is nestled in an idyllic moorland location above Haltwhistle in Northumberland. Primarily geared towards families, it offers a mix of accommodation including 17 Wigwams (camping cabins) many with hot tubs, 10 tent pitches, 13 caravan/motorhome hardstanding pitches, a luxury 6-berth lodge, 3 tipi tents and 4 Lotus Belle tents. The upmarket amenity block “would put many a hotel to shame” according to a review in the Independent newspaper. A sauna, drying room, barbecues and fire baskets, inside BBQ hut, children’s playground and petting farm currently complete the package. WCF Managing Director, Jo Ritzema, said: “We hope to capitalise on the growth in staycations and the desire for “experiences” over possessions which has fuelled the recent interest in camping and glamping from all sectors of the economy. As well as continuing the excellent reputation built up by the former owners Steve and Anne Dunwell, we intend to utilise the marketing skills at our Brampton Head Office to generate brand awareness (driven by both the site and its fantastic position on Hadrian’s Wall). Furthermore, the campsite will benefit from the expertise of our estates and facilities team to maintain the 5-star (Visit Britain accredited) facilities that have been such a customer draw to date. We will also be reviewing opportunities for other events at the site whilst respecting its unique position right on the edge of Hadrian’s Wall”. The day to day management of the campsite continues to be undertaken by Phil and Sue Humphreys, who have been permanent wardens there since March 2018. The couple are “excited to be embarking on this new adventure with WCF and looking forward to welcoming both new and returning customers to the site”. Herding Hill Farm Camping and Glamping site is open all year round. For further information, please visit their website and/or find them on social media.